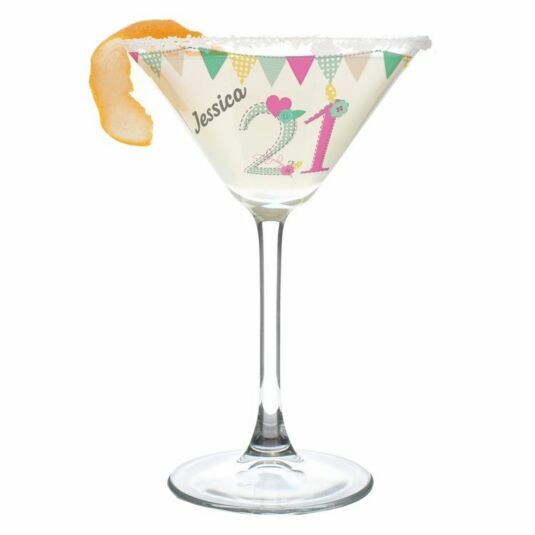 Make that birthday celebration that bit more special with this touching Birthday Craft Cocktail Glass. 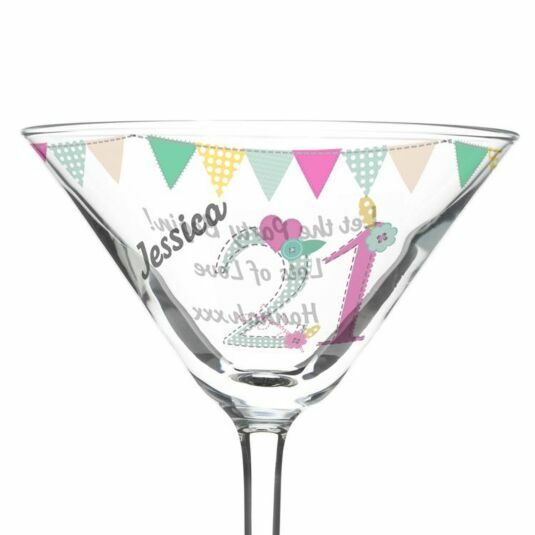 Ideal for filling with that birthday concoction, this glass is craftily designed with banners and colour in mind, featuring a bunting inspired design with bright pastel colours to match. 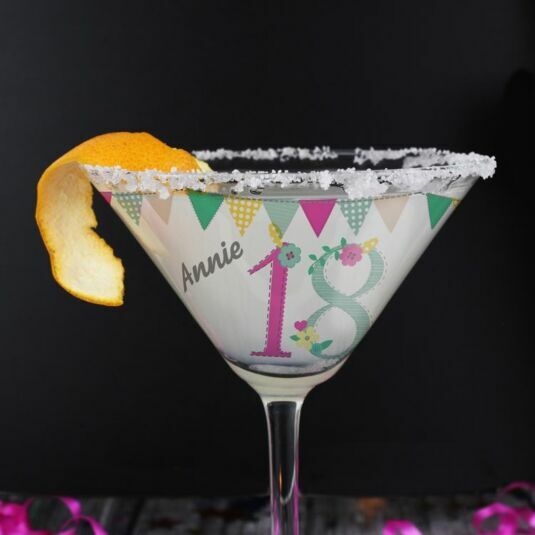 The incorporation of both an age and a sweet message will make this a unique and special gift to give to anyone. An age of up to 2 characters which features in the centre of one side of the glass. Recipient's name with a maximum of 12 characters to appear beside the age. 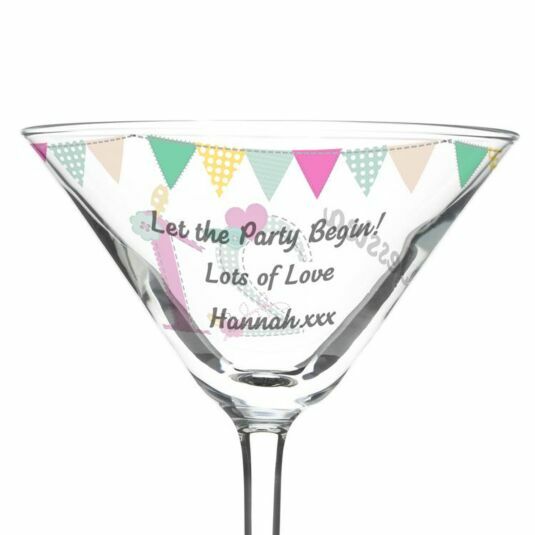 A message across 3 lines, each with a maximum of 20 characters per line to feature on the back of the glass.